Over Spring Break we took a quick road trip, just far enough to get out of town for a few days and stay in a hotel (my daughter's favorite thing). One morning while the rest of the family was holed up in the hotel watching basketball and swimming, I headed to Ikea. It was a win-win for everyone! 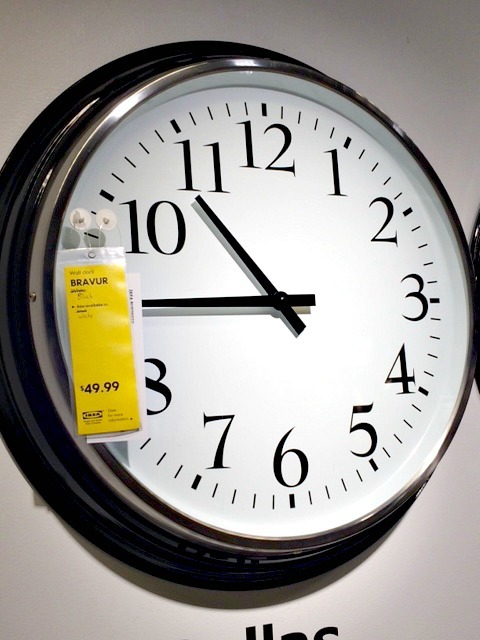 Although our nearest Ikea is 3 hours away, I manage to get there a few times per year, and have been often enough now to have a pretty good idea of the regular stock items they carry. So, even if I don't have a trip planned, I can put out a plea to my friends who might be going to pick up what I need. *Rug pictured is square and has a decorative border. I prefer the 8x10 with no border, but it's not listed online ($99 indoor/outdoor). Disclaimer: These were phone pics and the lighting is bad, but they should give you an idea of what things look like on the shelf. I did try to include the label in the photo so you could see the price, too. 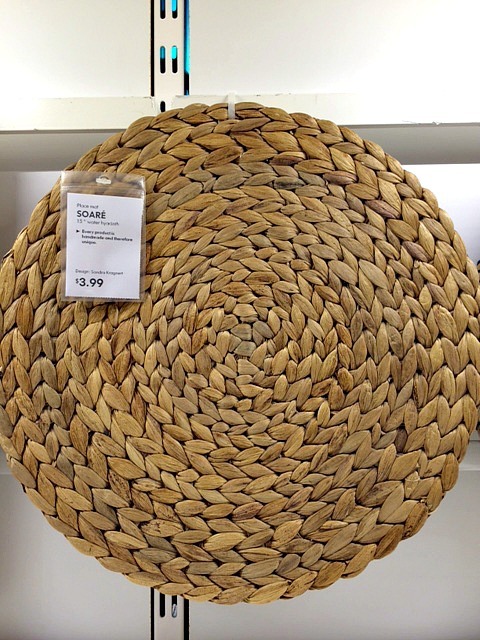 This woven seagrass placemat is the perfect addition to almost any table. 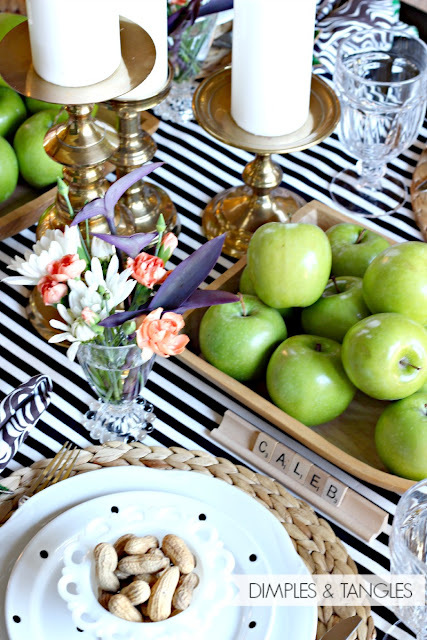 Indoors or out, it adds texture and a nice layer under a pretty stack of plates, and looks good over a tablecloth, runner, or on a bare table. 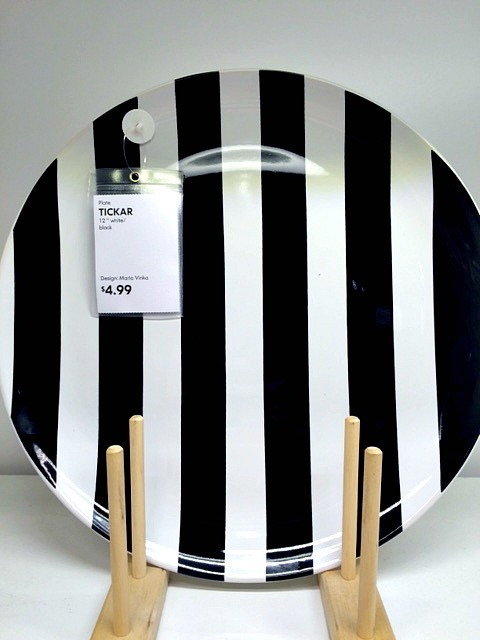 The first time I saw these plates I exercised some willpower and didn't buy them. Then I came to my senses and sent money with my sister to buy them when she was at Ikea a few months later. ;) They are large, and can be used as a charger or the perfect plate for Thanksgiving a plate. 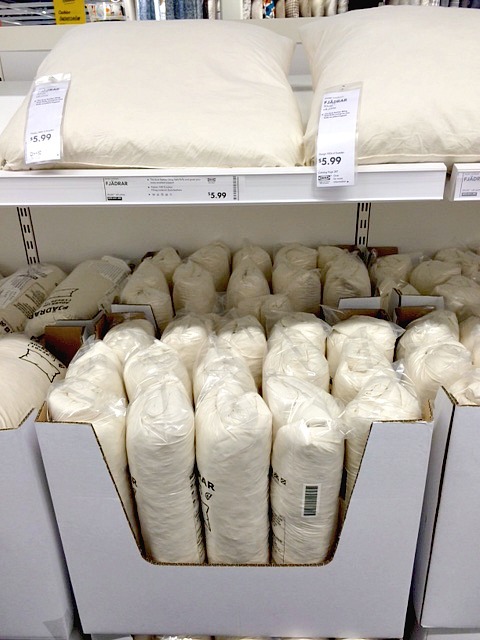 Ikea has the BEST prices on feather pillow inserts. I wish they offered more sizes! They have a 20x20 for $5.99, as well as a larger size and lumbar size. 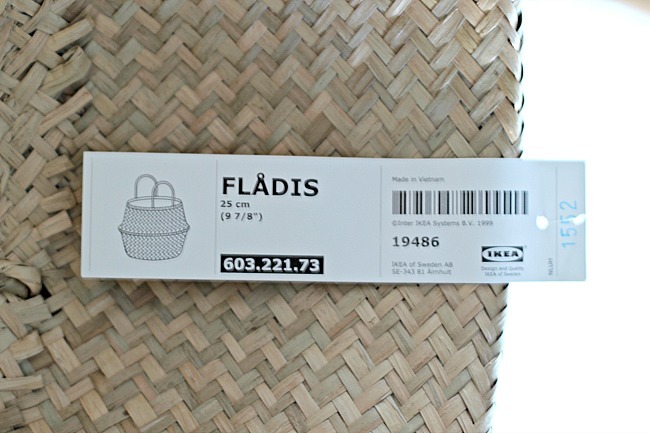 Ikea also has the best prices on drapery panels, that are also amazing quality. The fabric is always really nice. 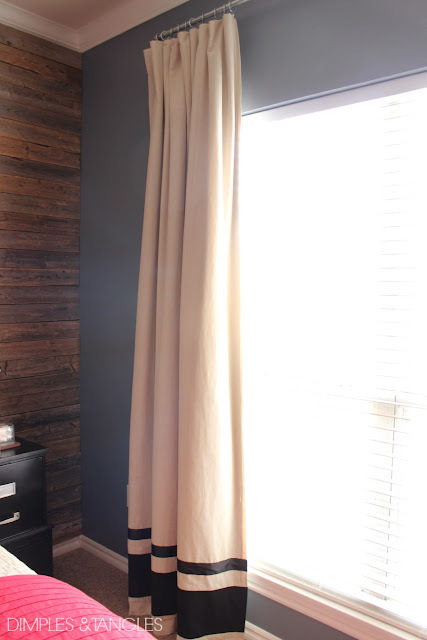 The Ritva is a home bloggers' favorite and has a linen like look and texture. The Lenda is a thicker, tan color with a slight ribbed texture. The Merete is a true plain solid fabric that's a nice heavier weight. I used a set of Lenda in my son's room after adding some stripes at the bottom and black-out lining to the back. 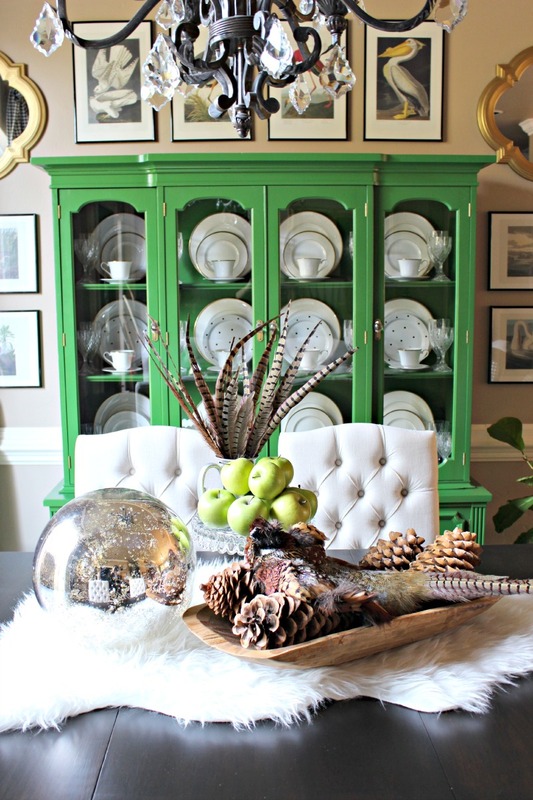 Last week I shared my look for less designer pom pom basket with you. 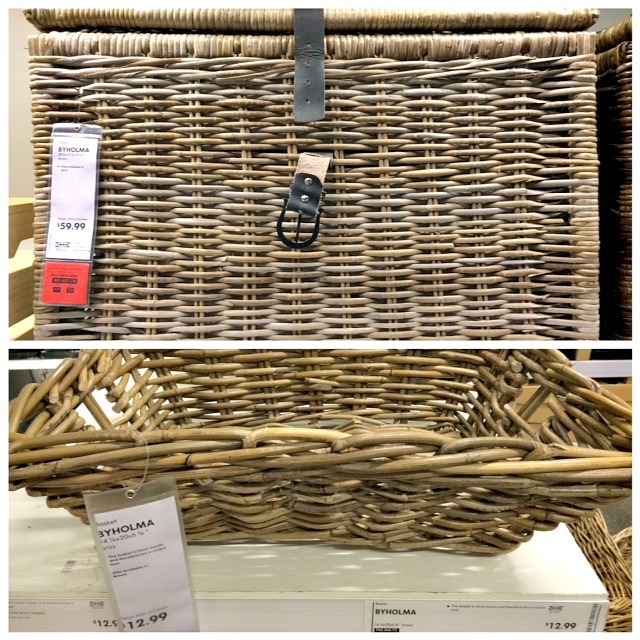 Here's the baskets I bought, and the bottom photo shows how the tops are folded in when they're stacked on the shelf. I've had several people trying to locate the basket near them and requesting the product information, here you go (9.99)! Maybe I wasn't crazy when I thought I had just missed it before, and it IS a new item... one reader said they couldn't locate it in their system (I don't see it on the website, either). If that's the case, keep checking back! 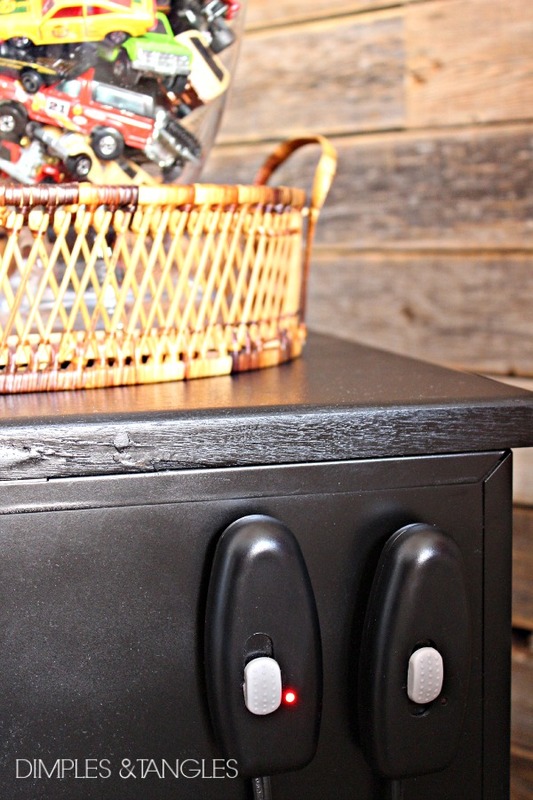 A few more great storage baskets, the trunk style nice and sturdy and is a fantastic size for storing throw blankets or whatever. A few favorite rugs... 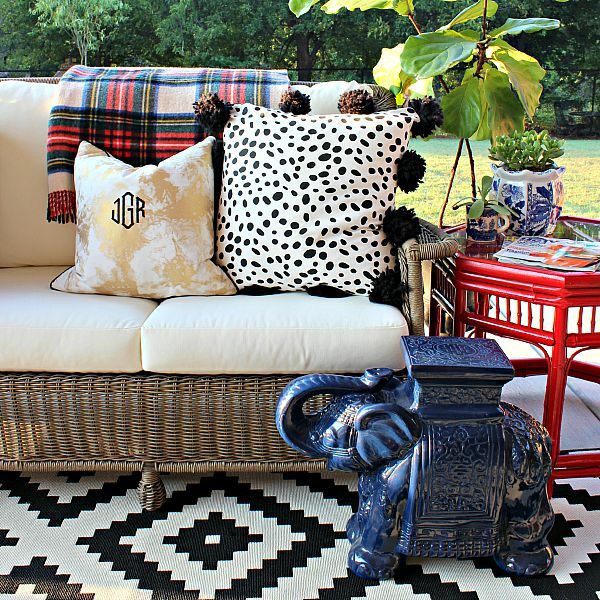 I own 2 of the black and white rugs pictured and they are on the patio. 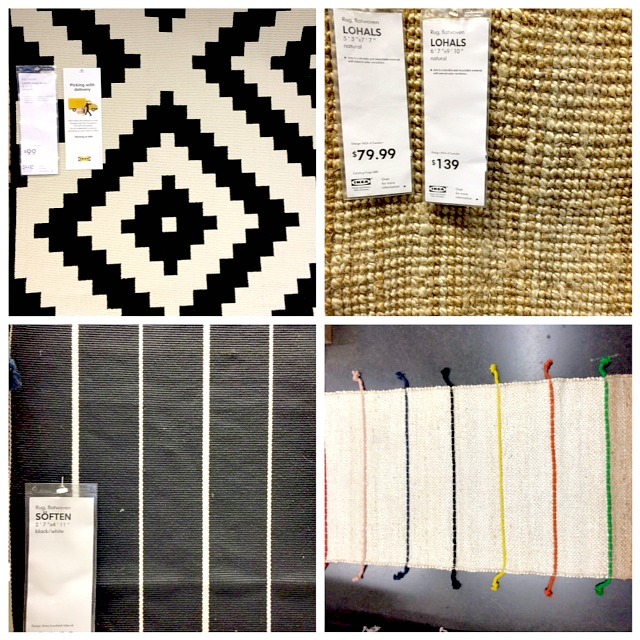 The jute seems like a great natural fiber rug for a great price, the charcoal striped runner is so versatile, and the colored tassel runner is just fun (I think it's new)! 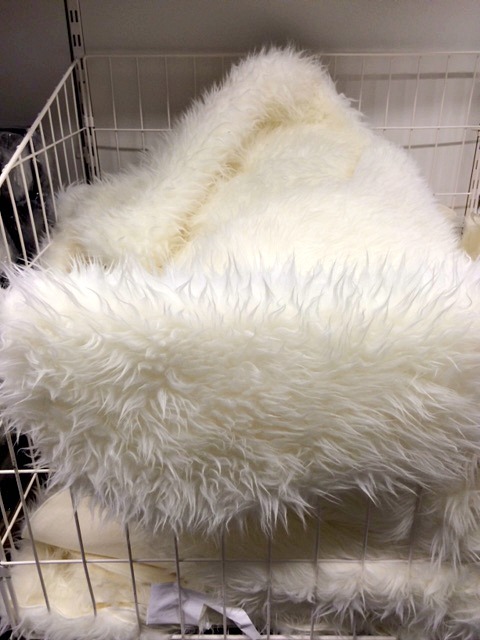 I bought 3 of these faux sheepskins one year (9.99 each) and they have been well worth the money. 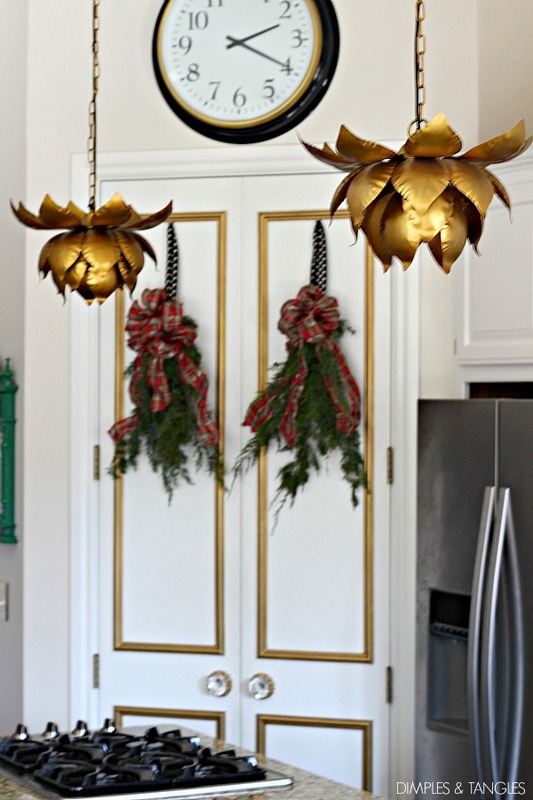 I've used them across chair backs, over a bench, as a table runner, and even as my Christmas tree skirt. Love, love, love these two electrical items. The first is the best little $3 automatic nightlight. The "Dimma" cord pictured on the right has a sliding dimmer switch on one end, so you plug your lamp into it and can automatically dim the bulb. 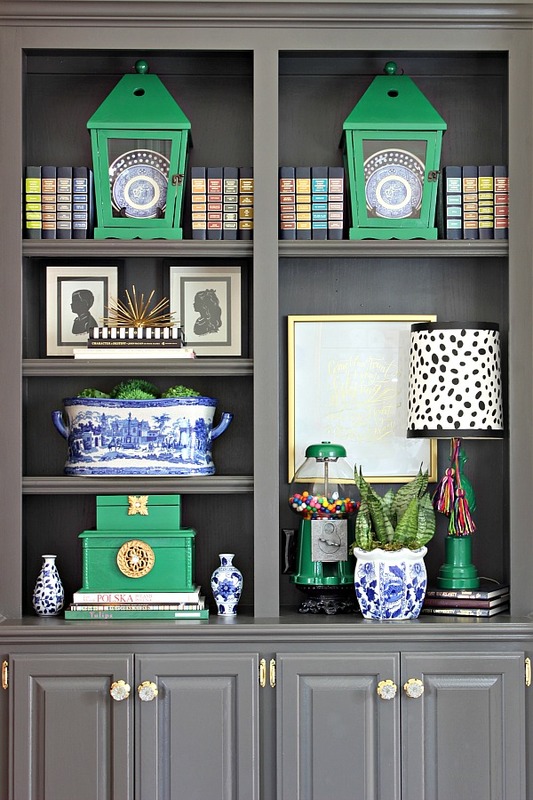 We used them in my son's room for the sconces flanking his bed, so the light was not overpowering at night. I'm also using one on my marquee letter which can be VERY bright full blast, so it's nice to be able to dim those bulbs. I think I bought this scarf hanger on my very first trip to Ikea several years ago, and it's been one my hardest working purchases ever! With a diameter that just about 2 feet across, this clock is substantial and perfect for standing on it's own. Of course, I had to doctor mine up a bit by changing the silver rim to gold. 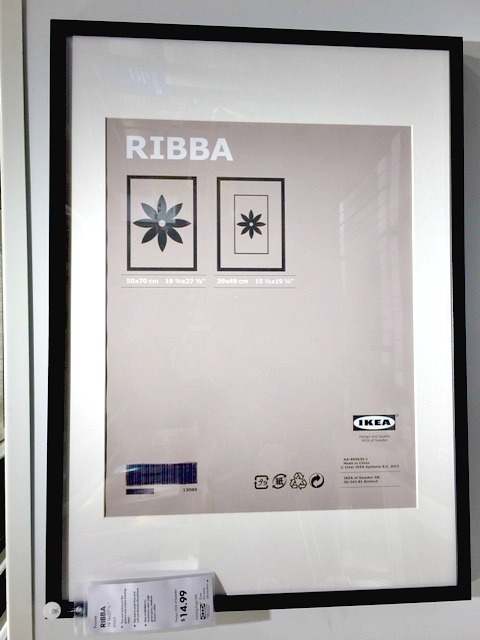 The popular Ribba frame comes in a variety of colors and sizes, and the mat is included. 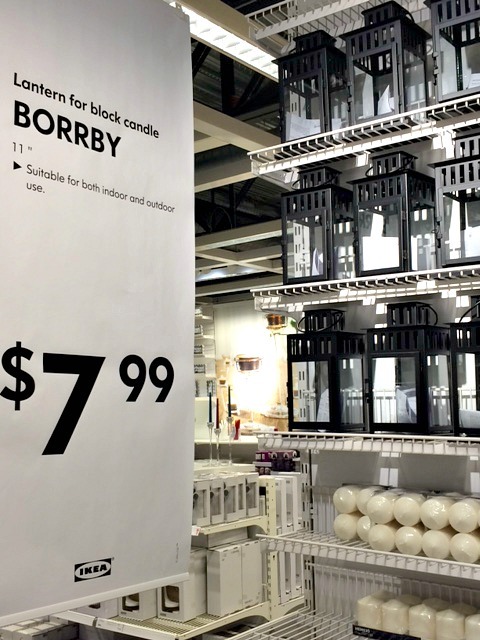 I have bought so many of these Borrby lanterns. They are nice to have on hand for a small gift or to tuck in with a wedding gift or birthday present. 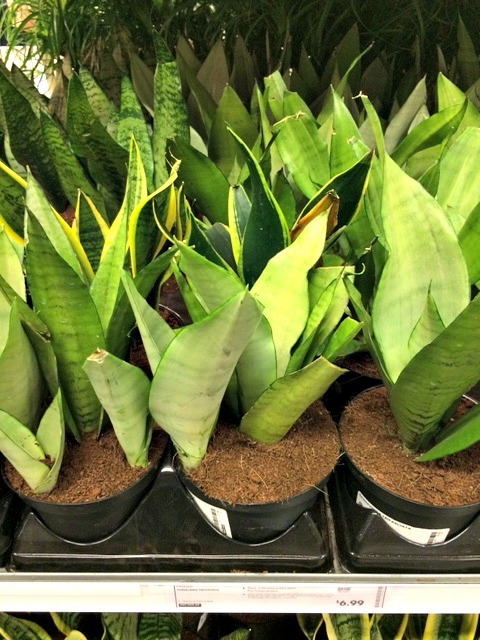 Lastly, I ALWAYS leave Ikea with a fresh plant of some sort. They have a fairly good selection and if they have something you like, the price can't be beat. 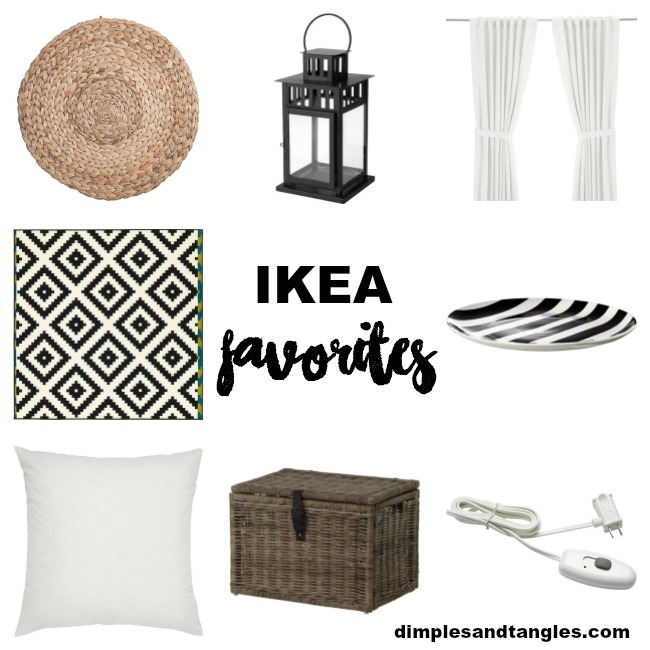 I still have lots more favorites from Ikea, those will be for another day! 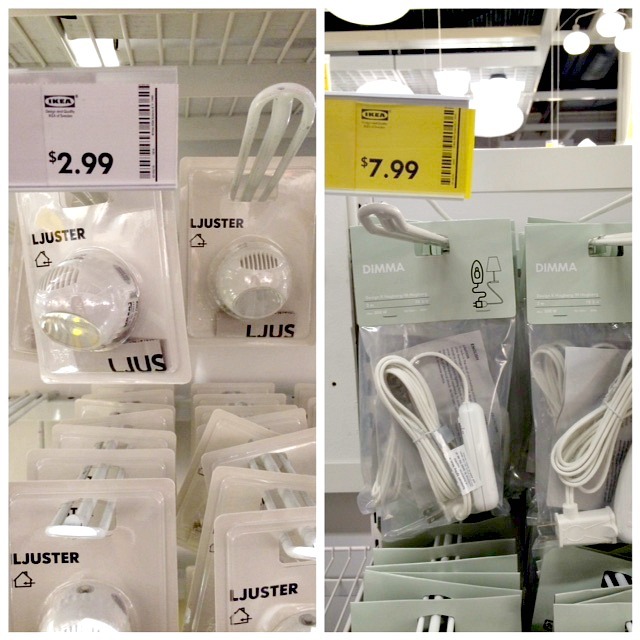 Are you a lucky duck that has an Ikea in your town? Are you a reader who has NEVER been to Ikea? If you frequent the store, what is YOUR favorite find? What a fabulous post! I love Ikea and luckily live thirty minutes away from one. Gets me in trouble sometimes though. The curtains are really versatile and I've also done an Ikea hack with the bleached white grommet curtains. 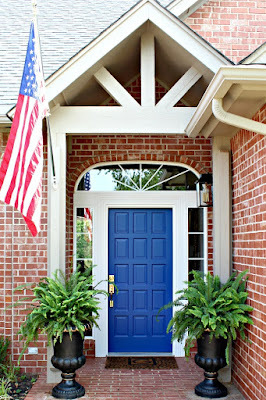 I added a large piece of navy/white fabric (from Ikea) to the bottom but railroaded it. It's in our sons playroom. Love them! I can't believe how many of the items you mentioned I have :) I never saw that little dimmer switch though, and definitely need a few of them!! Some of my faves - the white Aina 100% linen curtains, curtain rods & rings (so cheap), pillow covers - Vigdis that looks like linen and the velvety Sanela, and the new fabric I saw on my last visit - Kungslilja - charcoal grey and cream floral, I have to use it somewhere!!! My office is across the highway from the Ikea in Frisco (Dallas), and I find myself there walking around at lunch quite often. :) I also love the pillow forms, but wish they were a little bit fuller as they tend to go pretty flat on me. I'd be willing to pay a few bucks more. But all in all, they are a good purchase for sure! I have to add some of you faves to my list too! The Ribba is an all time favorite of mine as well, and of course, the PAX system! Now I wanna re-do my son's closet! Nice that you showed some of the products as you use them (those striped plates/chargers!). I've been on the fence about that indoor/outdoor rug, might just pull the trigger this year. I like the dimmer, hadn't thought about using one, but I have a couple of candidates in mind already. I just boughte two of their black and white throws and I'm in the process of making and adding hot pink tassels to the bottom or them. I love their drinking glasses. Just bought two of their motion activated puc type lights to the inside of my wardrobe. No more holding a flashlight in my teeth! 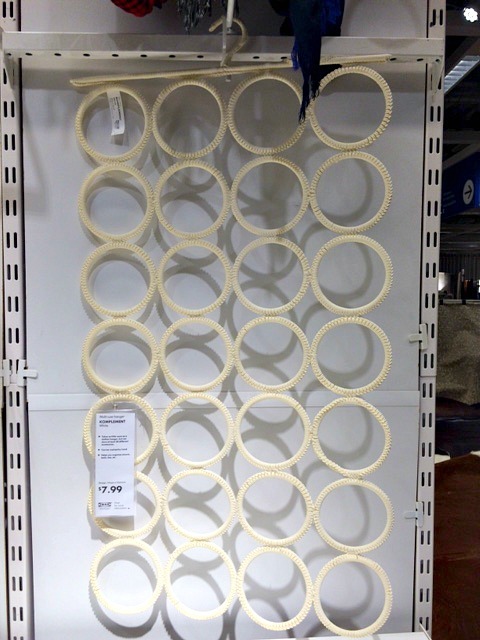 We have an IKEA about 30 minutes from our house and it is very dangerous! When you go into the plant department look for a bag of red stones that are kind of like marbles. They are the best for the bottom of planters to allow for drainage. Cheap and very usable. I do love to go there and I always find something. My nearest IKEA is 6 hours away! Bad for me, probably good for my pocketbook. 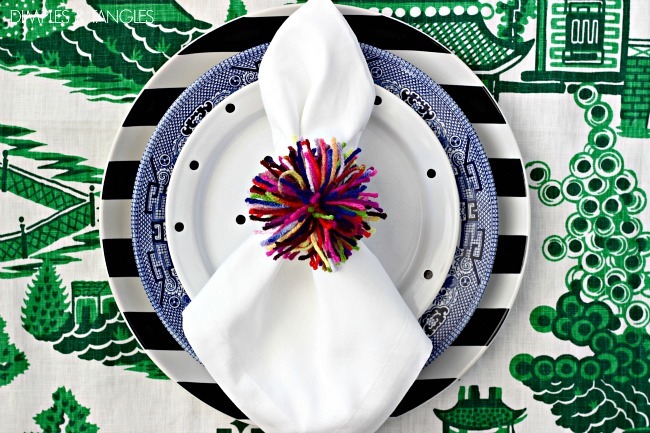 I love the striped plates; they're on my list whenever I can get there next. Love your pics of everything in use! I'm fortunate to have 3 IKEA stores within 15-20 miles and another one 40 miles away. I picked up 8 of the SOARE mats the other day but missed the black and white plates. I'll check for those this week when I go back for the Mother's Tongue plant and the basket with the handle. I didn't see them last week. This was a great post because I'm in love with your style. I have never been but really want to go soon so this post has been super helpful ...thanks! 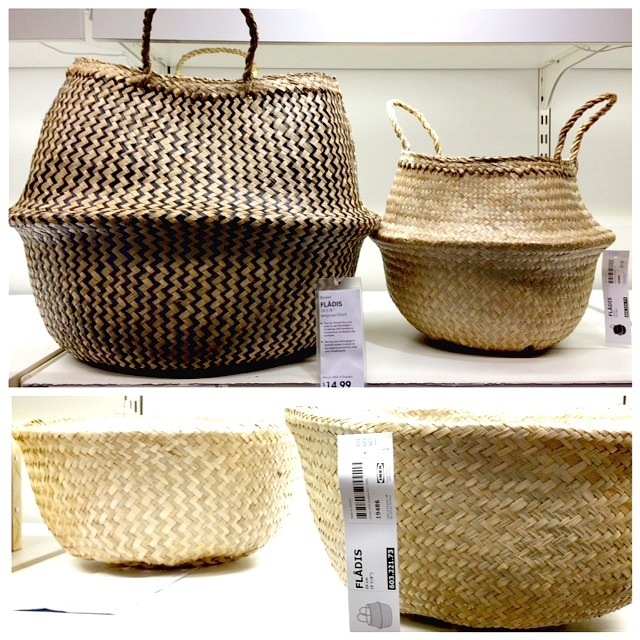 Thanks so much for posting the information (and the inspiration) on the baskets. 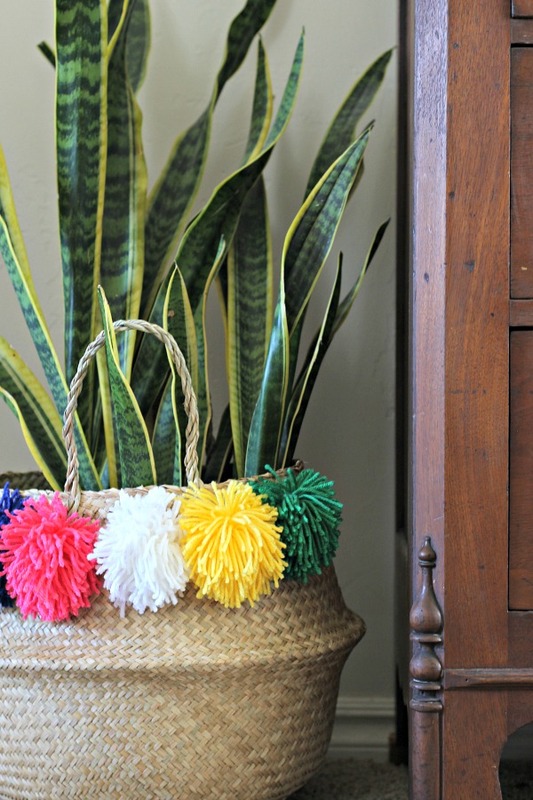 Can't wait to try my hand at the pom pom basket! I was wondering how the IKEA black and white rug stands up the outside weather? Is it directly exposed to sun and rain or is it under a sheltered area? Great post! I feel like I go to Ikea for larger items and get overwhelmed by the time I get to looking at smaller decorative pieces. I saved this list for my next shopping trip! I love this list!! I've fallen in love with IKEA although I have to drive 3 hours to Atlanta to shop. The RÅSKOG utility cart is even better in real life. I use mine to store all household cleaners. The IKEA 365+ plastic food storage containers are awesome! I've had mine for years and keep adding to the collection. 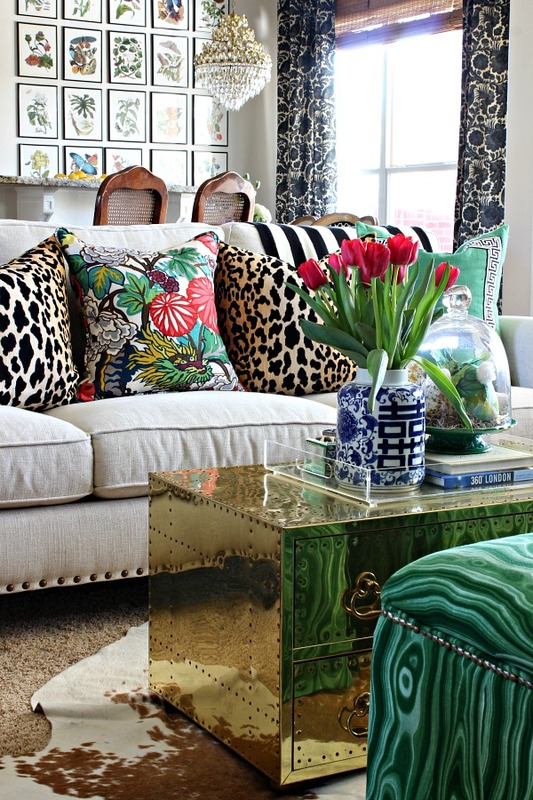 And lastly, the collection of throw pillow/cushion covers and feather inserts is unbeatable. 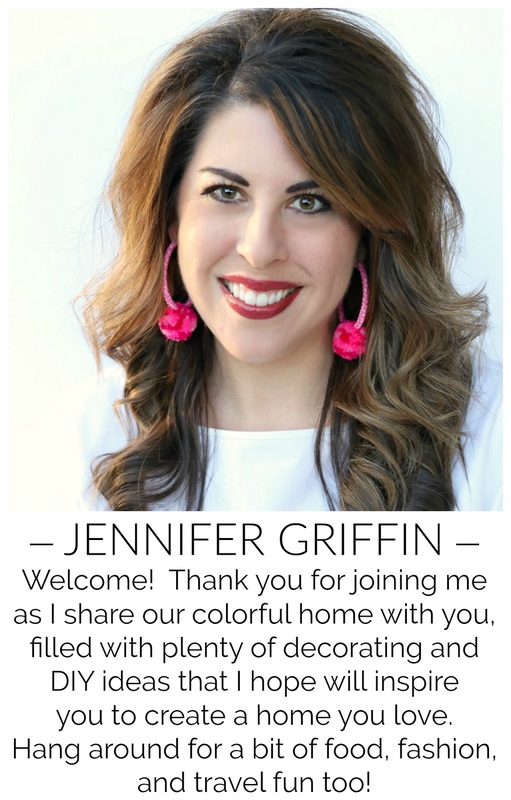 Great list, Jennifer!